Choose if you want single match or world cup. Use the left and right arrow keys to position your player. 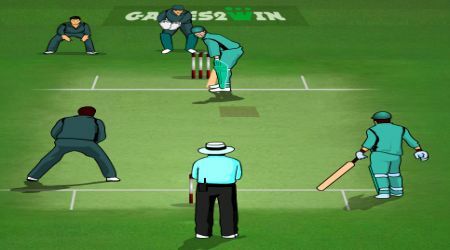 Press the space bar to activate the bowler. Use the arrow keys to set the direction of your shot. Press the A key for normal shot and the S key for power shot. If it is your turn to bowl, choose the type of bowler you want to use. Press the space bar twice to pitch your ball where the mark is placed. Hit the space bar again to set the red marker in the highlighted area.